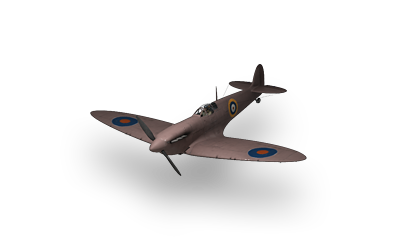 Went through trials in 1938 as a new fighter for the Royal Air Force, but was considered inferior to the Hawker Hurricane and Supermarine Spitfire. This plane plays similarly to its parent craft, the Bristol 133. Compared to the other tier 4's, it doesn't have the superior advantage the 133 has. It still retains the higher health pool with decent agility but slow speed. Except for a stock A6M1, all tier 4 fighters can outrun this thing with ease. The starting armorment can be frustrating. But once the gunupgrade is unlocked, it becomes a fun plane to fly. Just be careful with chasing planes. They will be able to outrun you. This page was last modified on 14 February 2018, at 04:11.